Principal photography has begun on Sea of Trees, the new film from Oscar-nominated director Gus Van Sant (Milk), starring Oscar winner Matthew McConaughey and Oscar nominees Naomi Watts and Ken Watanabe. Produced by Gil Netter (Life of Pi), Ken Kao (for BLOOM/Waypoint) and Kevin Halloran from Chris Sparling’s Black List-nominated screenplay, the film is shooting on location both in Massachusetts and Japan. 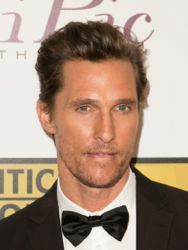 McConaughey will play Arthur Brennan, who treks into Aokigahara, known as the Sea of Trees, a mysterious dense forest at the base of Japans Mount Fuji where people go to contemplate life and death. Having found the perfect place to die, Arthur encounters Takumi Nakamura (Watanabe), a Japanese man who has also lost his way. The two men begin a journey of reflection and survival, which affirms Arthurs will to live and reconnects him to his love with his wife (Watts). The project was assembled before the Cannes Film Festival where the rights were sold in many territories across the globe, although it might not see any sort of release until 2015, possibly even going on the festival circuit beforehand.